How do we know if it’s not a scam? 'Prime Teacup Puppies' has been working over 10 years in South Korea, our pet shop is located in Seoul, South Korea. The informations can be easily found on our Korea Prime Teacup Puppies Website and Instagram. After finding a puppy you want and pay, the total process takes about 10 -14 days, unless you have a desire arrival date. Is it safe for puppies to travel via airplane? We do not send puppies that are not in perfect condition to fly out. There are separate sections in airplane that puppies can travel safely and we also provide comfortable cage so puppies do not stress out while on the airplane. Yes. 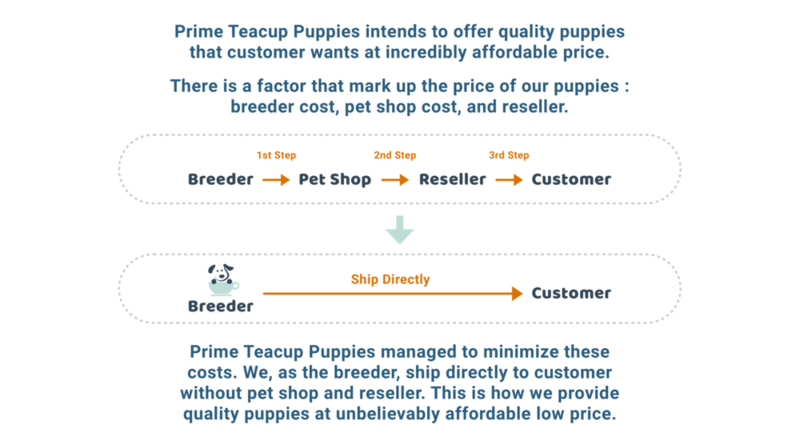 All the puppies Prime Teacup Puppies sell have pedigrees and we can provide that for you. Can I check the puppy’s parents? You can see photos of puppies parents.